First book “review” of 2012 – it’s been a spell (reading old books makes me want to use old lingo) since I finished this one, so my memory is already getting hazy. I decided to take another trek down the old science fiction route, since it was short and very different from ‘The Tale of Genji’ which I was reading concurrently. It seems as though the most popular novels by Herbert George (H.G.) Wells were during the beginning of his career. Of these, I have read all the popular ones (in bold). This may mean that I’m done with my Wells’ experience for some time, similar to my proclamation of being done reading the most popular works of Jack London. I’m thinking that from an old science fiction perspective, I’m going to delve more into Jules Verne, whom I think it a much better writer/storyteller than Wells (both are referred to as a ‘Father of Science Fiction’). 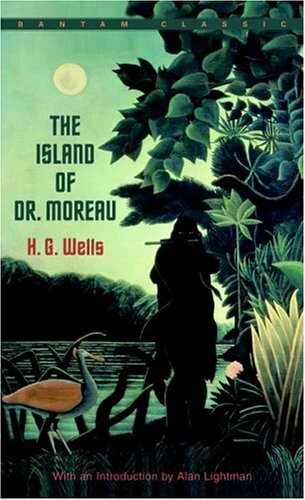 The Island of Doctor Moreau (TIODM) was an account of an 11 month and four day habitation on an unknown island close to Hawaii by Edward Prendicks. The story begins with the sinking of the ship “Lady Vain”, and the pick-up of Prendicks aboard his schooner by another merchant ship. This ship is transporting animals (leopards, apes, etc) to the unknown island. Aboard is a strange man with a black face – who the captain rages against. He refuses to transport what he calls “the ugly devil”, feeling that something is not right about this man. Prendicks is not allowed to return to ship or continue onto the island (a man named Montgomery is very hesitant on inviting him), so he is cast out to see on his schooner. Fearful of death, eventually Montgomery concedes and Prendicks is brought to the island. He finds out that there is a doctor who was banished from England, performing experiments on the island. In addition, there are numerous strange creatures lurking in the dark and we get the feeling that there is something very suspicious about the doctor and the inhabitants of the island. “When the novel was written in 1896, there was much discussion in Europe about degeneration and animal vivisection. Interest groups were formed to address the issue: the British Union for the Abolition of Vivisection was formed two years after the publication of the novel." 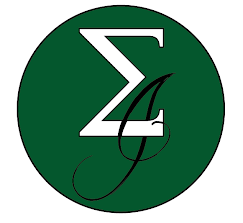 I’m also going to quote Wikipedia in reference to themes, which it proclaims are “pain and cruelty, moral responsibility, human identity, and human interference with nature.” I could not agree more with this. There is a lot of talk by Dr. Moreau about how to get rid of pain and why it’s important in the type of work he is doing. The animals he is operating on, however, are very afraid of pain after going under the knife. Moreau attempts to convince Prendicks against cruelty in the pursuit of science. Moral responsibility and human interference with nature are still important topics in society today, and I would argue the movements for the former probably peaked (at least in North America) during the hippy 60-70’s and movements against the latter have become stronger over time and will probably continue as we get further into the 21st century. Both topics are fairly straightforward in reference to vivisection at the hands of Dr. Moreau. There were a few moral points which I believed were made against drinking, and in one case the drink lead to multiple deaths. Also, there was a strong slant in this work towards the teachings of Christianity – that men’s morals are kept in check by religion – something I would disagree with as a general rule. Without giving it all away, the re-integration into society by Prendicks was the most interesting part of the novel. The experience jaded him and he had a hard time with seeing the beast in people, converting him to a recluse. This book was an interesting read, but there was nothing in it that made you think too hard. The writing was average and while I would rather read a work of science fiction from over 100 years ago than one written within the 21st century, this was one of those books that you shouldn’t feel guilty for not having read… but a decent book if you’re looking for something light which still contains important themes. Great posting! I have seen the movie but not read the book. It sounds good, and I may have to read it. I like the way that you describe the themes running through the book and how they apply to the larger world. This was certainly my least-favorite H. G. Wells, but like you said, it does deal with some topics worth thinking about. There were parts that I found very difficult to read, not light at all.